Expired 1mo ago . 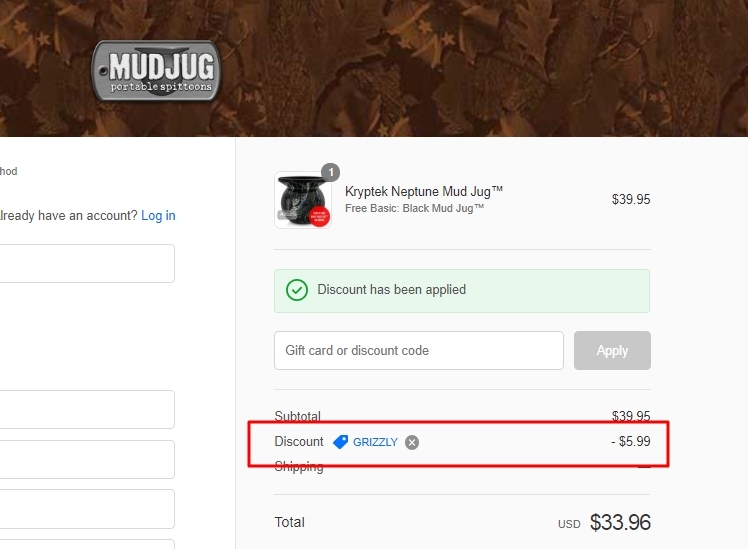 Last validated 7mo ago . 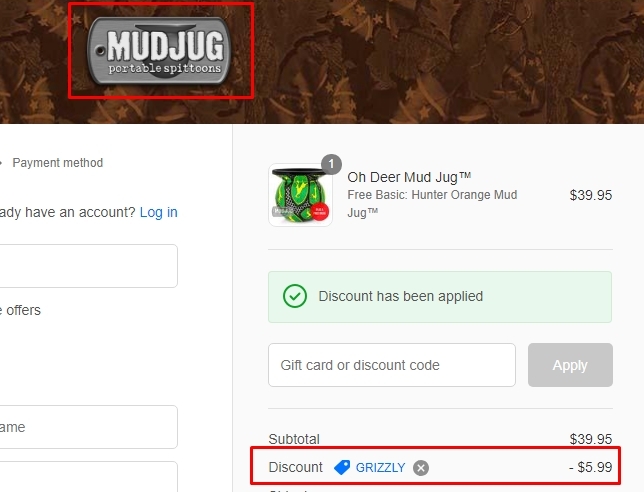 Used 8 times. German This deal works as described. 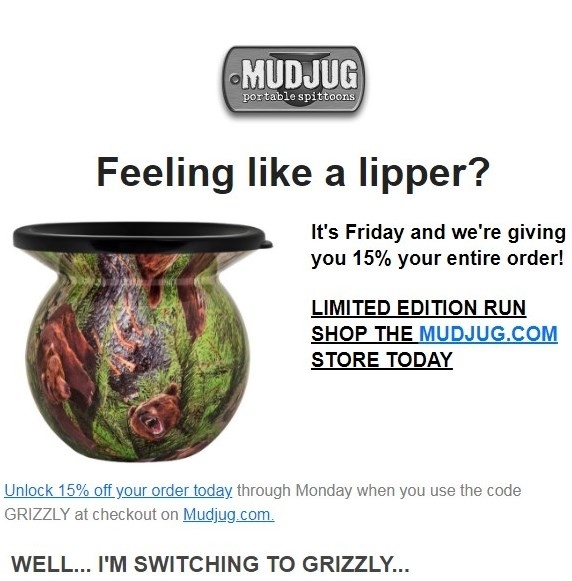 Go to the web site, add your item to cart, proceed to checkout, enter promo code <GRIZZLY> and get 15% your entire order at Mud Jug. 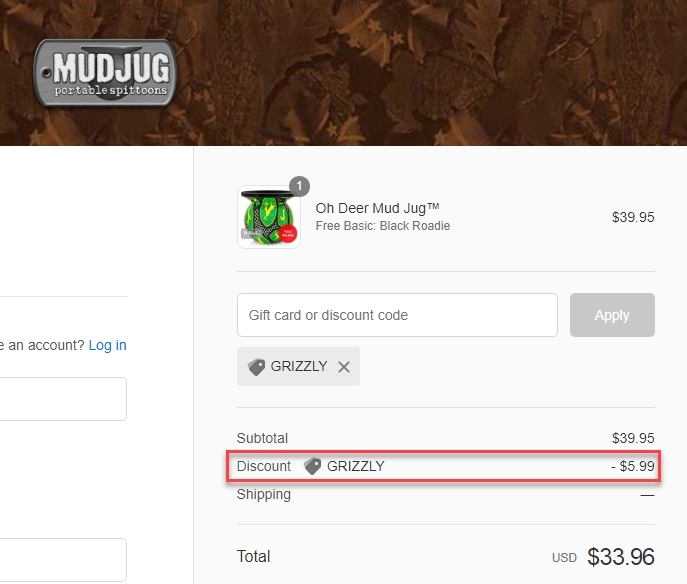 Daniel Esparragoza To get the discount simply enter the promo code GRIZZLY at the checkout. 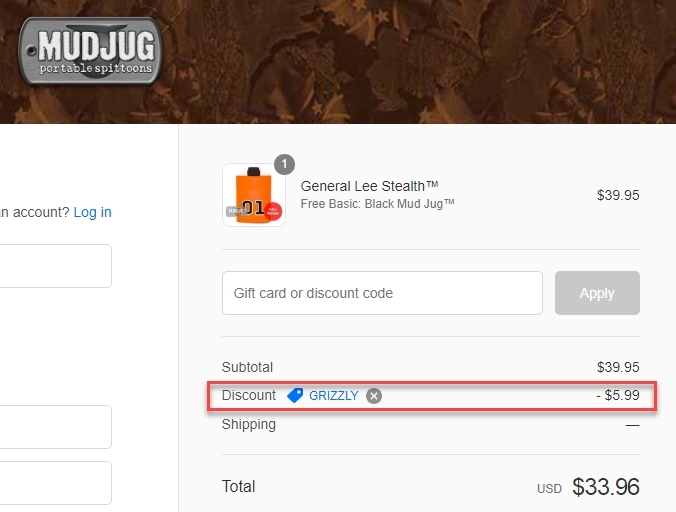 There may be some exclusions that will apply to this deal.